The Soviet invasion of Scotland! Full credit to the guy for acquiring his collection, but the way this has been reported makes it seem as though this is a unique discovery, and that it’s somehow a surprise that Scotland didn’t escape the same treatment as the rest of Europe. In other words, “well, duuuuh!”. Most importantly, the headline is sensationalised to the point of meaninglessness. These are not “Maps to Occupy Scotland”, these are standard (for the era) military intelligence maps. The fact that Scotland was mapped as thoroughly as the remainder of the UK adds nothing to our knowledge of Soviet intentions to invade. They don’t in themselves suggest a Scottish entry point, and they don’t make the threat of UK invasion any more tangible than it already was. Sure, if the balloon went up, and the Soviet Union prevailed, the very end result would be invasion of every country in Western Europe (at least). How detailed the maps were has no bearing on the reality of Soviet invasion. But given Scotland’s military industrial significance, if there was such an occupation, it would be of a nuclear wasteland. Those of us who lived through the Cold War (which is of course, most of us) were only too aware of the real threat, and that threat was nuclear, not occupation. When you find yourself living in a nuclear wasteland with most of those you care about either atomised or dying of radiation sickness, a few (or even several thousand) Soviet troops coming over the horizon in NBC gear is pretty much the last thing you’re going to be worrying about. Have a watch of this excellent 1965 film “The War Game“. It’s not news either, but it’s more of an insight into the Cold War than the subject of this post. A straightforward piece of mythology this time. If you’ve ever looked at commercially available swords or knives on the internet (and who wouldn’t) you’ll see such marketing buzzwords as “battle ready” and “blood groove”. Sometimes they are recent inventions designed from the ground up to make the product seem more attractive – in this case, more warlike and gruesome. But “blood groove”, though totally bogus, has a much older usage within, and with relation to, Western armies. Other versions state that it’s to allow air in, which I suppose is the same argument – that suction is created after stabbing. You might even hear that the idea is to reduce the noise of the blade as it’s withdrawn! As sites like Sword Forum International have pointed out over the years, the argument is not only inaccurate in technical and historical terms (see below) but also with respect to physics and biology. The surface area of the blade is too little, and the friction between blood-slick wound and smooth blade too low for any real sticking to occur. When a blade does resist a simple withdrawal movement, a fuller, as the “blood groove” ought to be known, will do precious little to help. A smart twist of the rifle accomplishes far more, and has been taught for as long as armies have used sword or knife bayonets rather than the older thin socket type (which often also bore narrow fullers along two of their sides), or the spike bayonet of some more modern weapons (which have their own fluting in place of grooves). In reality, the blood groove is nothing of the sort, and the correct answer has been out there online for at least ten years now. Given that the famous Roman gladius (primarily used for thrusting) never featured such a channel, and the early medieval sword (designed for slashing) always did, it’s clear that it served a different function. The answer involves straightforward physics – by removing metal from the middle of a blade you reduce its weight without compromising its strength too greatly. The same approach is used in engineering in the shape of the I-beam. With the later bayonets, there is a secondary function in that the square-cut groove also makes for a very secure fit in the sheath so that the weapon can’t be lost or rattle around, and moisture has a harder time penetrating. 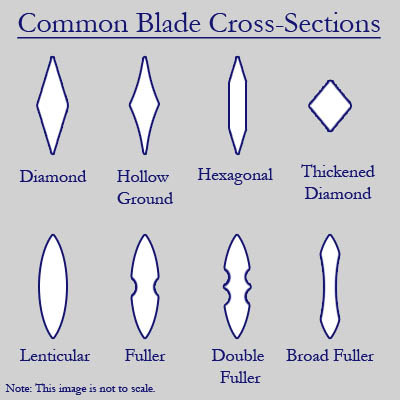 A range of (sword) blade cross-sections, some with fullers. Whilst it’s easy to understand civilians getting the wrong end of the stick – they don’t tend to have to stab living things with edged weapons – surely the armed forces must know what they’re talking about? Well, not always. 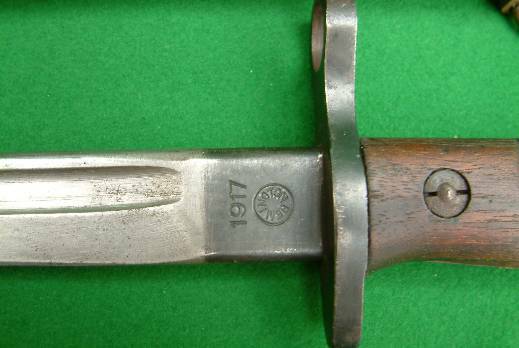 The use of swords in war was last seen amongst the first cavalry units to arrive at the Western Front in the First World War, before it was realised just how anachronistic cavalry had become. They typically would use long thrusting swords + the momentum of their mounts to kill enemy soldiers – any suction on the withdrawal wouldn’t even have been a factor due to this assistance in momentum. In fact any trooper studying the design of his weapon might well realise that the “blood groove” was actually helping to allow a stiff light blade that wouldn’t flex on impact. The origin of this myth lies instead with the infantry – specifically in bayonet fighting, or since this rarely occurred even in the 19th century, bayonet drill. By the end of the 19th century (arguably earlier), this savage piece of training was primarily intended to instil a warrior spirit, and to override the natural hesitation of a volunteer soldier to kill face-to-face. Its main practical purpose was the execution of wounded enemy soldiers following a battle. It remains a piece of military tradition that helps to maintain continuity and a sense of tradition. It’s a source of pride for many armies today, whether in rare instances of actual combat, or on the parade ground. The order to fix bayonets alone is a way to focus the mind and prepare for conventional engagement, close quarter battle with automatic weapons and grenades, or maybe even showing the enemy a bit of cold steel. Soldiers – army or marine – are closer to the enemy than any member of the armed forces, but even they have become somewhat removed from the act of killing by the range, accuracy, and sheer suppressive weight of fire that modern small-arms can achieve. Fixing bayonets makes it personal again, even if it never comes down to true hand-to-hand fighting. 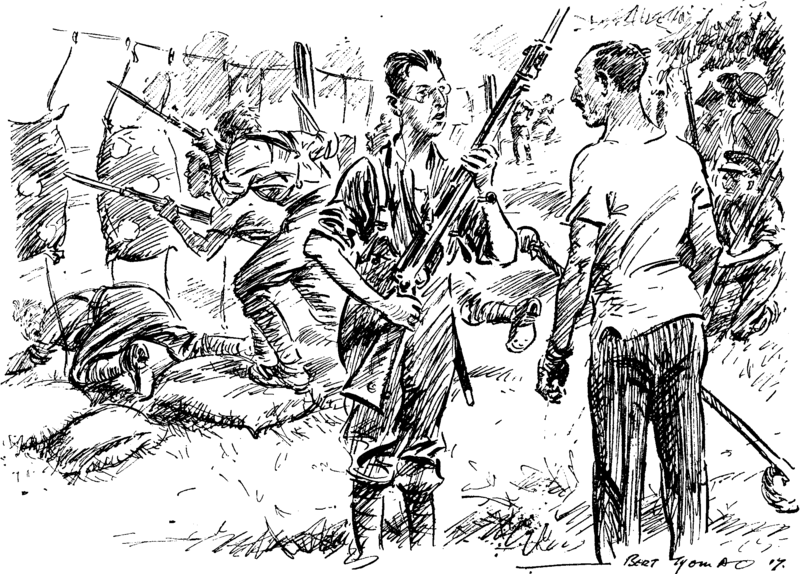 From many anecdotal accounts in print, oral history and online, it’s clear that drill sergeants throughout the 20th century made reference to the “blood groove” as a graphic way of interpreting the violence of combat and the need for well-learned drills to survive such an encounter and do brutal harm to the enemy. There would be no notion of stabbing one’s enemy and leaving it at that – you had to thrust, twist, and withdraw. The twist, explained as being another way to overcome the mythical suction, would be of real use, dislodging a bayonet stuck on or in bone or other tough bodily substances. It also makes more sense as a sequence of movements if there is a bridge between thrust and withdraw – like a combination of punches in boxing or a forehand/backhand in tennis. Talking about the blood groove fixes that step, and indeed the whole drill, in the mind – the perfect Derren Brown-style memory aid to assist muscle memory. It also psychs up a recruit in the absence of a real enemy or fellow soldier (sandbags being the preferred practice target for actual contact practice). I think this is the origin of this myth – a tool to convey the visceral and aggressive nature of hand-to-hand combat to two main audiences. Firstly, to recruits already familiar with the concept of killing another man for a just cause: the idea further steels him for battle and instils a measure of blood-lust. Arguably its about conditioning a man to kill another – paper rifle targets don’t have the same effect. To civilians, it’s maintained so that we can explore this same dark side of human experience – one we’ll never know. Like watching a horror film – to be both excited and repulsed. I think both are valid things to do, but as with all myths, I’d rather people were told the legend, closely followed by the truth of the matter. One caveat to finish with – it’s possible given the long history of the myth that at some stage, weapon designers or procurement officers really did belief that was the purpose of the groove, and continued to incorporate it for this reason. I’d like to see some evidence of this however. Regardless, the actual function served by the feature remained that outlined here.